An Art Deco floral diamond wedding band made by hand which consists of round diamonds set in leaf and petal motif design. 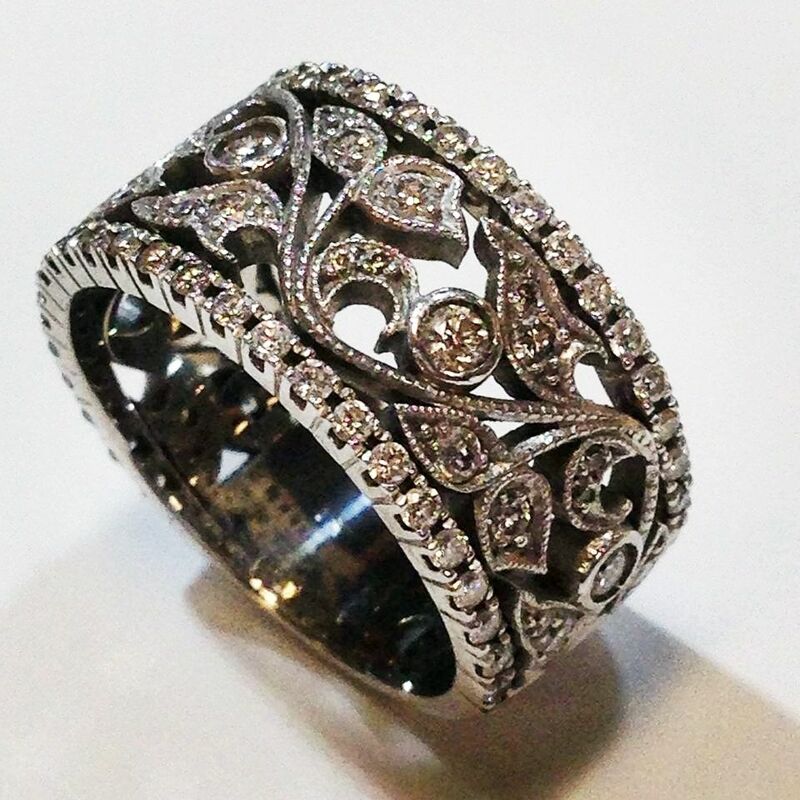 The band also consists of two rows of prong set round diamonds on the outer edges, as per the customers request. The ring turned out awesome in 14kt white gold. We can modify this in any way the customer pleases.